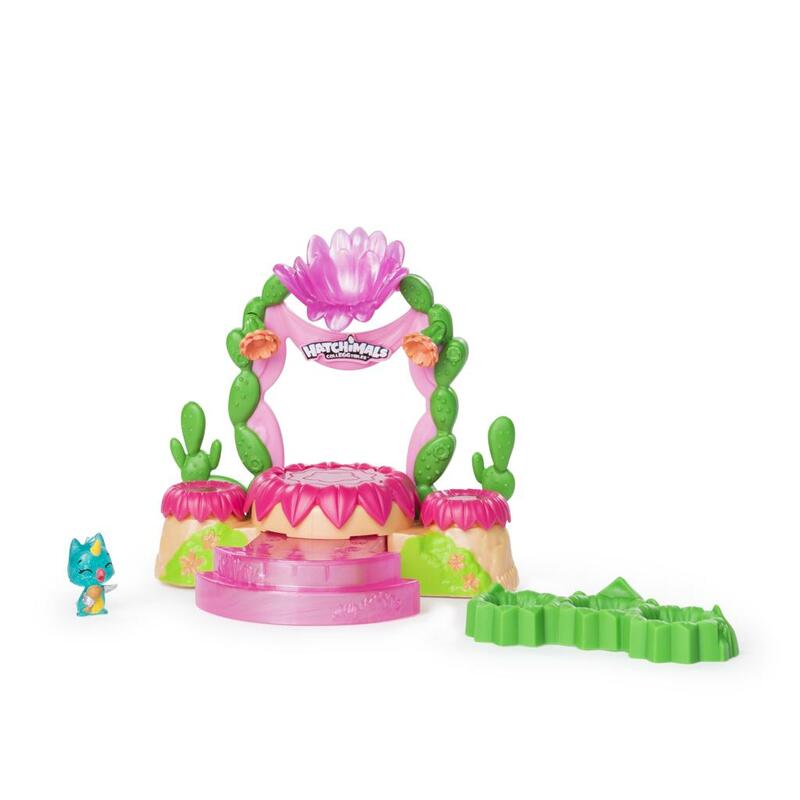 It’s time to shine with the Shimmering Sands Talent Show Playset! 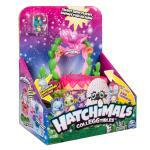 With a light-up center stage and two spinning side stages, everything is ready for a hatchtastic show! Place your exclusive Hatchimal (included) on center stage and push down to activate the light below that makes them glow! You can even pull out the extendable runway and give them more room to show how they shine! 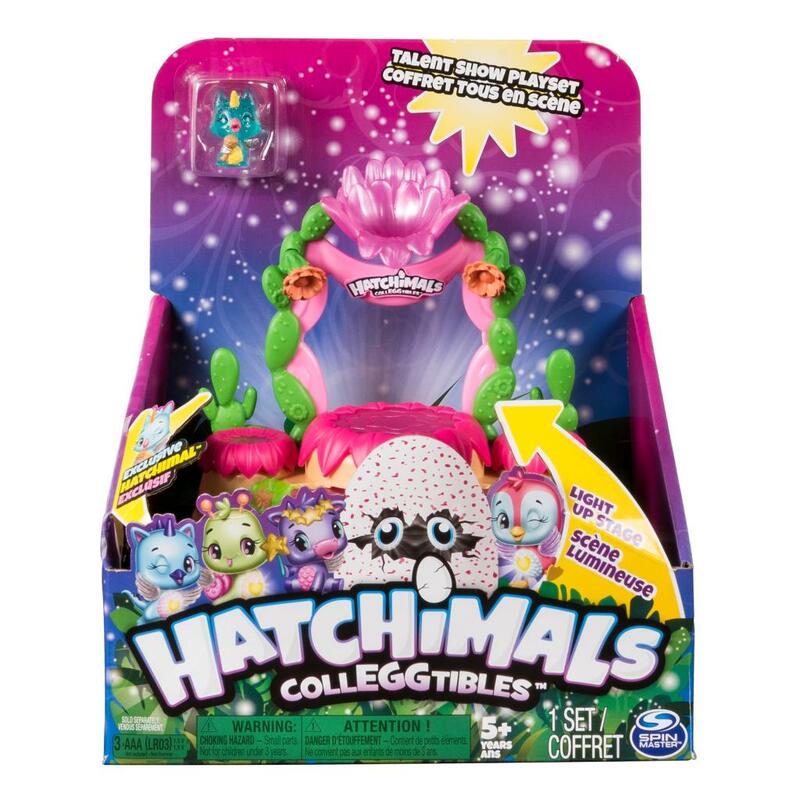 With your Hatchimal on stage, it’s time to bring in the audience! Invite all your friendsto this show and place three Hatchimals in the grassy audience nests and one Hatchimal in the judge’s nest. It’s showtime! Push down on center stage again to see multiple light-up effects – you can really show your Hatchimal shines! What stories will you tell? Bring the magical world of Shimmering Sands to life with the Hatchimals CollEGGtibles Talent Show Playset! 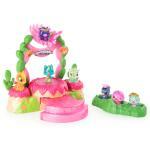 LIGHT-UP PLAYSET: It’s time to shine! 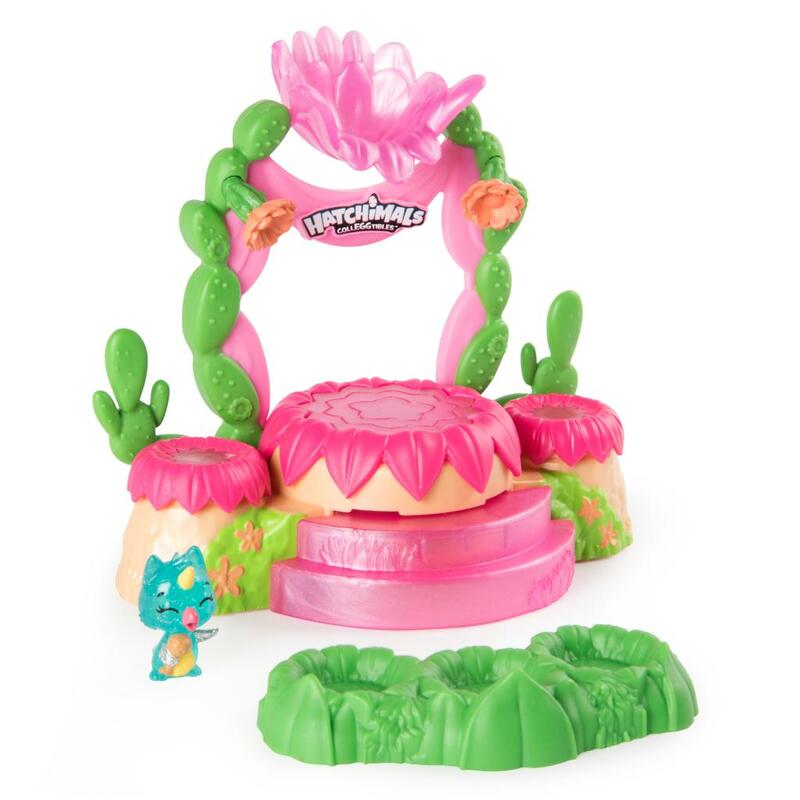 The Talent Show Light-up Playset is the place for your Hatchimals to put on a show! The center stage has multiple light-up effects, so your Season 4 Hatchimals (1 exclusive character included) can show how they shine! EXTENDABLE RUNWAY STAGE: This stage lights up and even extends! 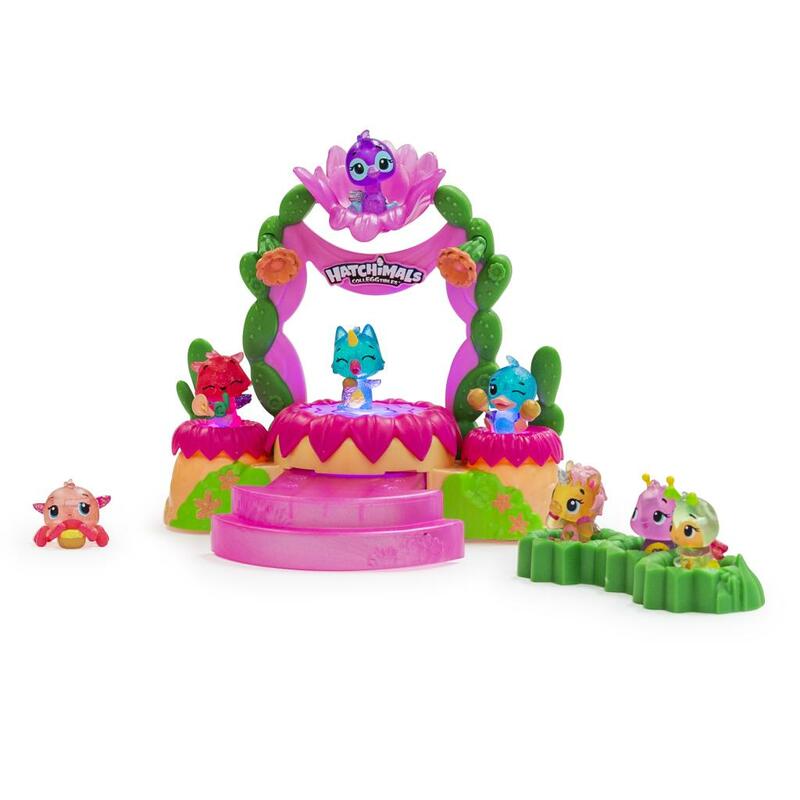 Pull out the runway to give your Hatchimals more room to show how they shine! You can even bring the band onto the spinning side stages –– this is going to be one egg-cellent show! 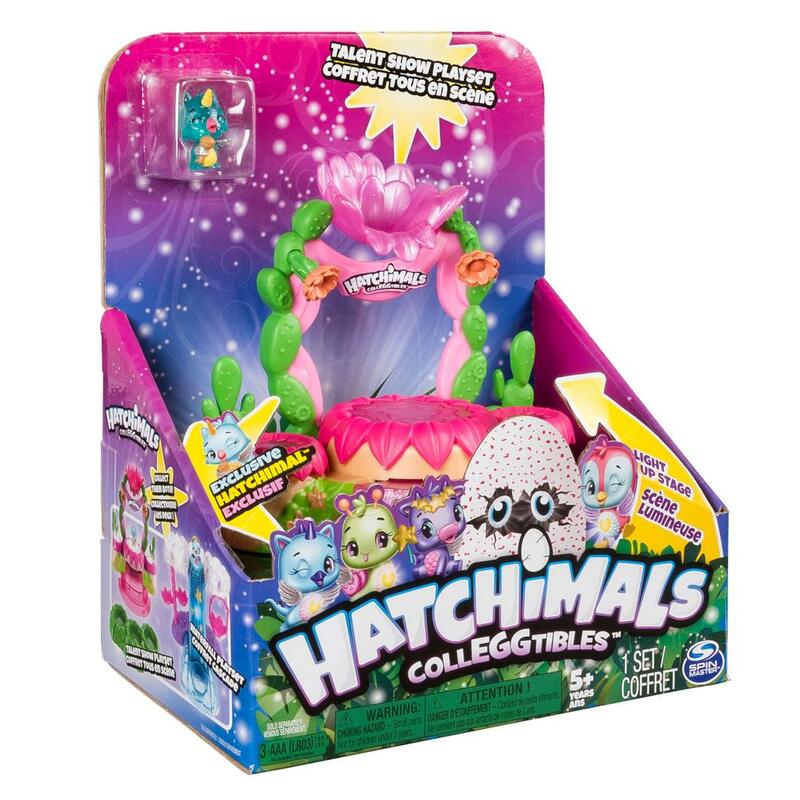 COLLECT EXCLUSIVE HATCHIMAL: This playset comes with an Exclusive Season 4 Hatchimals CollEGGtible! These translucent, magical Hatchimals shine bright when you place them on the light-up stage! Hatchimals CollEGGtibles Talent Show Playset is for kids aged 5+. 3 x AA batteries required (not included). 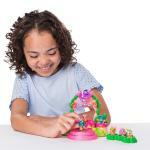 Invite your Season 4 CollEGGtibles to this interactive playset and show how they shine!